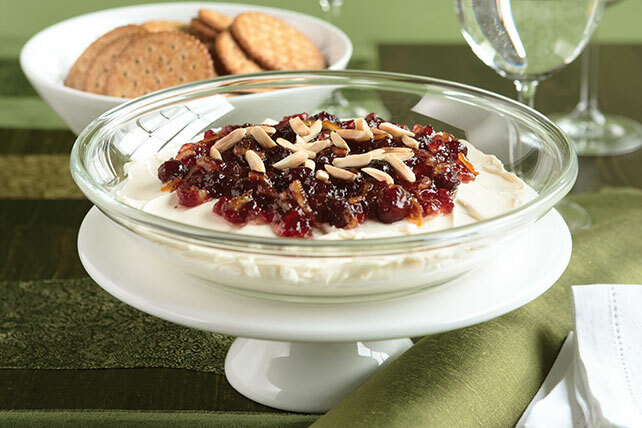 Bring out the Spiced Cranberry Dip at your next Thanksgiving or Christmas gathering. Your holiday crowd will be joyful about dipping into this mouthwatering Spiced Cranberry Dip, a combination of creamy and sweet with a hint of heat. Mix next 3 ingredients; spoon over cream cheese. Top with nuts. Prepare as directed, omitting the red pepper and substituting hot pepper jelly for the orange marmalade.